In Nigeria’s personality-driven politics, there’s usually little differentiating presidential aspirants in terms of ideology or economic policy. Not any more. 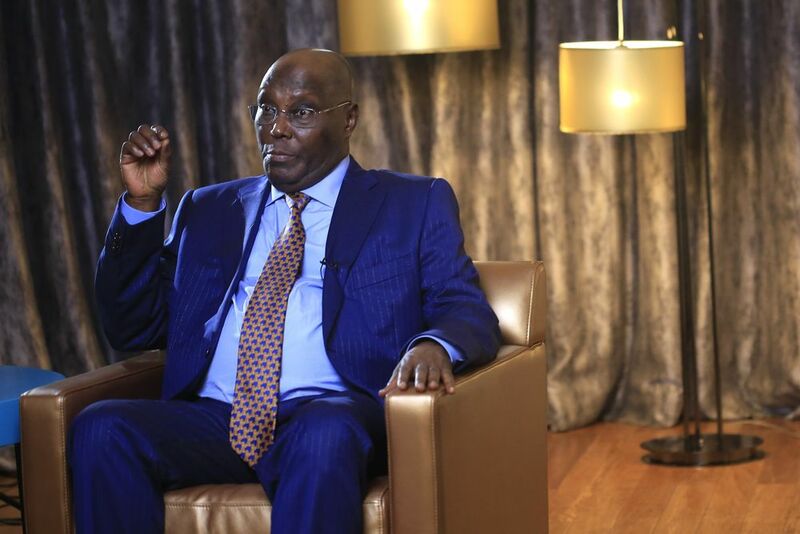 Atiku Abubakar, the 72-year-old main opposition candidate in next month’s vote, outlined plans in an interview with Bloomberg on Wednesday that would radically change Africa’s biggest oil producer, which foreign investors have long said is too statist and over regulated. He believes his policies will boost an economy that’s been lackluster since oil prices crashed in 2014. Gross domestic product expanded 2.1 percent in the final quarter of 2018, while inflation was at a seven-month high of 11.4 percent in December and unemployment stands at 23 percent. Africa’s most populous nation also has the biggest number of people living in extreme poverty globally, according to a June report from the Brookings Institution. Abubakar’s proposals — including selling most of the government-owned oil company, floating the naira and removing a price cap that keeps Nigeria’s gasoline prices among the lowest in the world — are all opposed by President Muhammadu Buhari, 76, a former military ruler who’s seeking a second four-year term. It’s also a gamble. 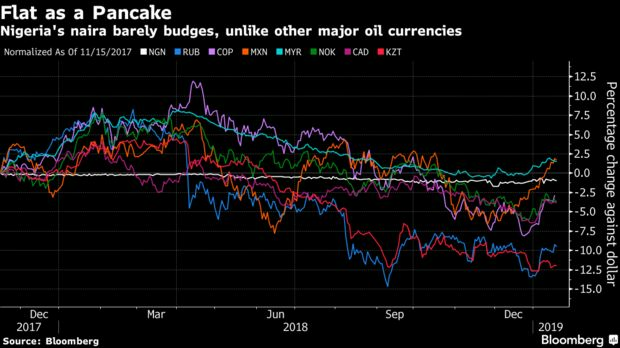 Many Nigerians associate a weaker currency with higher inflation and see cheap fuel as one of the few benefits they get in a country with notoriously bad schools and hospitals. They’re also wary about selling state assets. Abubakar’s critics say he used such sales to enrich himself and cronies while he served as vice president between 1999 and 2007. Buhari’s information minister said Friday that Abubakar “benefited from slush funds” that led to the collapse of Lagos-based Bank PHB in 2011. Abubakar’s spokesman denied the allegations and said the candidate was happy to answer questions from investigators. Abubakar says the only way Nigeria can reduce poverty and tackle rampant corruption is by giving the private sector a bigger role. The politician, who has 26 children and four wives, describes himself as a centrist. Tellingly, however, he’s a big fan of former Conservative U.K. Prime Minister Margaret Thatcher and says he “strongly believes” in her push to privatize industries. For investors, the big question will be whether he’s willing and able to fulfill his promises if he does win what New York-based risk consultancy Eurasia Group says is the “most fiercely contested election” since Nigeria ended military rule 20 years ago. Selling part of Nigerian National Petroleum Corp., which Abubakar said was a “mafia” organization and which has a long-standing reputation for inefficiency and opaque management, would likely be met with strong resistance from vested interests.